The goal of Adventist evangelistic “seminars” is to proselytize and baptize new members into the Seventh-day Adventist Church. 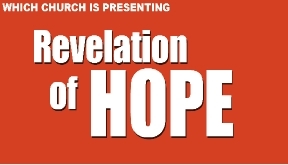 The meetings are advertized as prophecy or Revelation seminars. 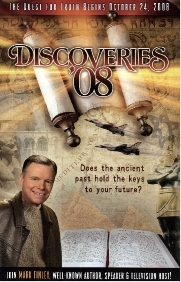 The topics are based on unique unbiblical Adventist doctrines. Other methods used by Adventists to proselytize include sanctuary displays, health and cooking seminars, community wellness education, vacation Bibles schools, door-to-door book sales, Adventist hospitals and educational institutions, radio and television programs, and more! See a response to Adventism given by former Adventist pastor Dale Ratzlaff, after an Adventist evangelistic event in Lancaster, California. The website home of Proclamation! magazine. Download back issues, read devotionals, studies, letters to the editor, or subscribe to receive your own printed copies. Mark Martin, pastor of Calvary Chapel Phoenix, created this outreach of former Seventh-day Adventists to help those who are seeking Biblical answers on Adventism. Site includes a large collection of studies, audio files, and other resources. Extensive research on the Adventist prophet Ellen White. The studies on this web site expose how Adventist teachings on Bible Prophecy are more amazing fiction than amazing facts.